Hereditary type 2 diabetes mellitus is a risk factor for chronic liver disease, and ~30 % of patients with liver cirrhosis develop diabetes. Diabetes mellitus has been associated with cirrhotic and non-cirrhotic hepatitis C virus liver infection, can aggravate the course the liver infection, and can induce a lower sustained response to antiviral treatment. Evidences that HCV may induce metabolic and autoimmune disturbances leading to hypobetalipoproteinemia, steatosis, insulin resistance, impaired glucose tolerance, thyroid disease, and gonadal dysfunction have been found. Prospective studies have demonstrated that diabetes increases the risk of liver complications and death in patients with cirrhosis. However, treatment of diabetes in these patients is complex, as antidiabetic drugs can promote hypoglycemia and lactic acidosis. There have been few therapeutic studies evaluating antidiabetic treatments in patients with liver cirrhosis published to date; thus, the optimal treatment for diabetes and the impact of treatment on morbidity and mortality are not clearly known. As numbers of patients with chronic liver disease and diabetes mellitus are increasing, largely because of the global epidemics of obesity and nonalcoholic fatty liver disease, evaluation of treatment options is becoming more important. This review discusses new concepts on hepatogenous diabetes, the diabetes mellitus–hepatitis C virus association, and clinical implications of diabetes mellitus in patients with chronic liver disease. In addition, the effectiveness and safety of old and new antidiabetic drugs, including incretin-based therapies, will be described. 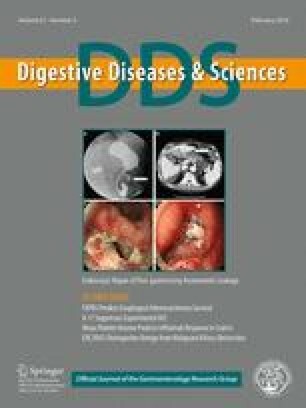 This study was supported by Gastroenterology and Endocrinology Services of the University Hospital, Universidad Autónoma de Nuevo León, Monterrey, México. All authors who have participated in preparation of this manuscript declare not to have conflict of interests.